Look, black women are doing the damn thing. "Insecure" is arguably one of the best TV series out right now. The cast is amazing and the writing is SPOT on. The show is SO bomb, it's creating even more opportunities for the cast. 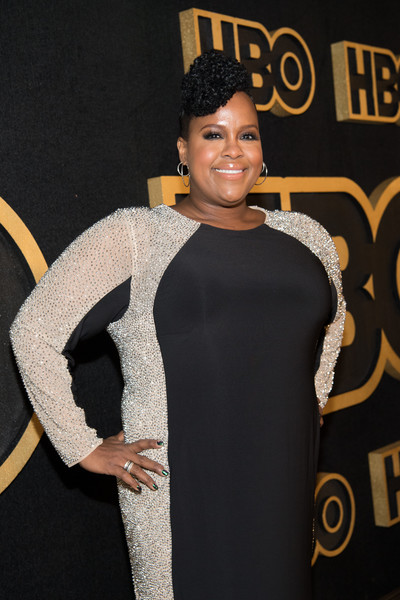 After creator Issa Rae inked a first-look development deal to create two more shows, "Insecure" star/writer/series producer Natasha Rothwell has landed her own overall deal with the premium cable network. With her many talents, she'll be developing an original idea for HBO that she will write, exeutive produce AND star in. Woot! Yes, get all of those coins and credentials. Congrats Kelli, we mean Natasha! We can't help it. We LOVE her character. "Insecure" star Amanda Seales is gearing up to bring some laughs on HBO. She'll be starring in her own stand-up comedy special, "Amanda Seales: I Be Knowin'" that will debut Saturday, January 26th at 10PM EST. Taped at the Edison Ballroom in New York City, the comedian’s first hour-long special is produced for HBO by Jesse Collins Entertainment. Not only is she the star, she'll be executive producing the show as well alongside Jesse Collins. Also, Stan Lathan, Sanaa Lathan's dad, will direct. Y'all know she's about us some REAL with loads of laughter because chick always keeps it 100. Talk show host Trevor Noah took his show, "The Daily Show," to Johannesburg, South Africa for a special episode. He was there to host the Global Citizen Festival that went down on Sunday. During the special "Self-Deportation Edition" of the talk show, Trevor took fans back to his roots and shared how he grew up, giving a tour of his neighborhood. And then, he paid a visit to his 91-year-old grandmother, but not before giving a tour of her house MTV Cribs-style. "Welcome to Soweto, he said. "This is where I grew up. This is where everything goes down. What's amazing about this place is that nothing's changed, in a good way." After the tour he went inside to speak with his grandmother (whom he affectionately called Gogo) about Nelson Mandela, following the celebration on Sunday. Trevor's Gogo said Mandela was like their "God on Earth." He was inspirational to them all because that was the first time seeing a black lawyer. She said black people weren't allowed to be nurses, teachers or policemen, so Mandela offered hope to them all. Trevor's Gogo talked about how the people were scared of the tall, white policemen. She reflected on a time the police knocked on her door at 3AM and told her to leave her house. "For young people, it's very hard for them to understand how scary it was to be a black person in living in South Africa during the time. But everybody was scared of the police," he said. Noah shared with his grandmother that some people felt apartheid was a better time than what it is now. Apartheid is a policy or system of segregation or discrimination on grounds of race. "It wouldn't be better," she said. She talked about how kids were scared of Trevor when he was a little boy because they thought he was a white man. (He's mixed). She said the kids used to run away from him because it was the "the first time they saw a white man in their location." Trevor's grandmother also shared deets about being an "entergetic" and "naughty" child and how he drove her crazy playing in the street. Soak in the sweet moment above. Correspondents will be filling in for the talk show host this week since he lost his voice! Get well soon! PREVIOUS: Cardi B. Just Released First Pic Of Baby Kulture, And She's A Doll!